Even though timber remains relatively unkown as an investment class, precious timber can actually be a remarkably savvy choice. Smart investors know that because demand for timber is growing astronomically on a worldwide scale, investing in it today is undoubtedly a wise decision. If you want to branch out into new alternative forms of investments internationally or even domestically, then investigating precious timber is a great choice. Discover these five things you should know about timber before making the investment. One of the key pieces of information you'll want to know is that timber is in serious demand around the world. In the United States, timber is used widely, but in many developing countries the need is even greater. As nations begin to improve their infrastructure and create international airports, paved highways, bridges and dams, timber is often the building material of choice. Timber is one of the most versatile building materials on the planet, which means that it is used in construction whether in Europe, Asia or Latin America. Unlike some investments, which are tied to a handful of related currencies, timber is not linked to any one currency, and it holds its value on a truly global scale. 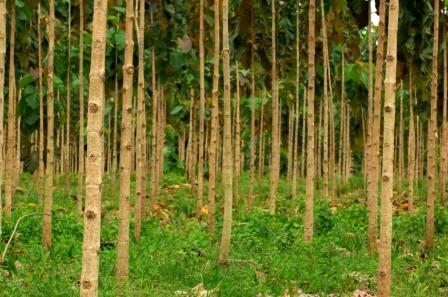 In countries like India and China, both of which boast big populations, the industrialization process results in a staggeringly high demand for timber, which is definitely great news for any investors. The more people there are on the planet, the more resources are needed to feed, house and transport everyone. Regardless of your individual thoughts on worldwide population, one thing remains clear: timber will be a growing necessity to keep pace with population growth across the globe. Many investors are pleasantly surprised to learn that timber offers the best of both worlds: a relatively high annual return and stability from year to year. Since 1987, timber has provided an average annual return of 15 percent. Compared to many other types of investments available around the world, this return is impressive. While there are options with higher risk levels and reward levels, timber provides the stability that many investors crave for the long term. Diversification is one of the keys to wealth management and growth, but it is often forgotten about by investors. If you have all of your assets held in a single account or even within a single country, you could be putting your financial security at risk. A better option is to diversify your holdings, possibly with timber. Since timber is a unique investment, it can be a fantastic way to spread wealth and leave yourself and your holdings less vulnerable today as well as in the future. Some investors are concerned that the clamping down of environmental issues or the focus on renewable forestry could have a negative impact on the timber industry. In reality, however, the opposite may be true for investors. Renewable forestry emphasizes a limited harvest each year, which keeps supply in check while demand grows, a surefire formula for financial profit. Investing in timber can be a smart choice because renewable forestry can drive up timber values, timber can diversify your portfolio, timber is a worldwide commodity, precious timber demand increases with population growth and timber offers a high and stable annual return.